There’s no question that being injured in an accident leads to all sorts of turbulence in your life. You will be dealing with injury, pain, trauma, and financial loss following your accident. In addition, you need to fight with what little energy you have left to get the money owed to you for an accident you didn’t cause. It’s frustrating, and was already overwhelming, but now someone tells you that your injury case might go to court. Seriously? Talk about adding insult to injury. Unfortunately, griping about it won’t get us anywhere, but information can take away some of the stress and anxiety of going to court. Read on for more information that will hopefully help to prepare you should your case go to trial. Why Would Your ABQ Injury Case Go to Court? Why would an injury claim go to court at all? Let’s start with the basics. When you file an injury claim in Albuquerque, you are submitting it with the at-fault party’s insurance company. That means that whoever caused the accident in Albuquerque that hurt you is responsible for paying for your damages. The only trouble is you have to prove they were at fault. If you can’t prove that they were to blame for the accident, the insurance company could deny your claim. That’s one reason that your case could go to trial. Most injury cases that go to trial have something to do with the insurance company. Either the insurer is refusing to pay you fairly, or they’re refusing to pay you at all. It is possible to sue someone who doesn’t have insurance, as well. This won’t likely secure you a lot of money, especially if they aren’t wealthy, but it can give you a sense of justice knowing they are being held to account for their negligent actions or for a misdeed. Knowing what’s ahead of you can make all the difference in calming your nerves and overactive imagination. Below, here are the basic steps that will take place if your injury case goes to court. Going to court is an intimidating prospect, but it really doesn’t have to be. 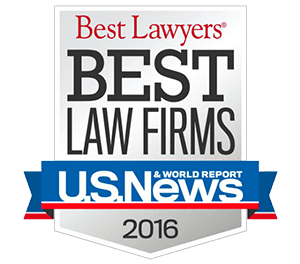 When you work with Will Ferguson & Associates, you are gaining a legal team experienced in litigation. We even practice mock trials in a program we call TrialMetrics, where we put your case to the test to make sure we’re ready for our day in court. 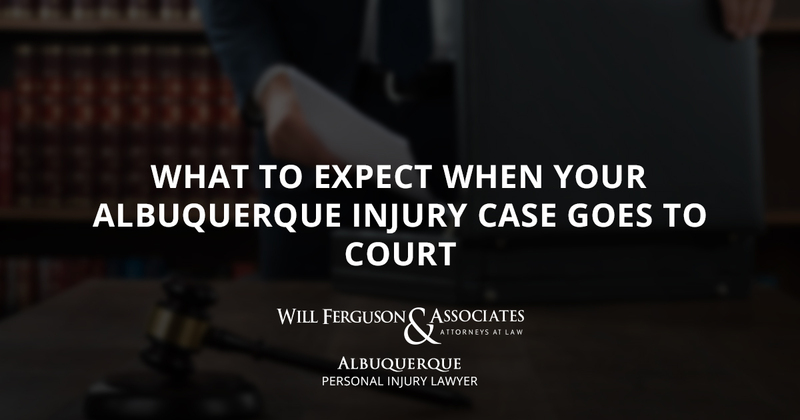 Understand that when you work with our firm, we will have you well prepared before our day in ABQ court comes. To reach our office and obtain a free case review, fill out the form below or call 505-633-0750.